As I’ve said before, getting a killer image is only half the equation in filmmaking. But the audio, well, that can be even more important. Audiences can suffer lackluster video, but nobody will put up with bad audio. Zoom continues to refine how we can capture audio in the field with a small field recorder that can use any Zoom microphone attachment to capture even the most intimate sounds. 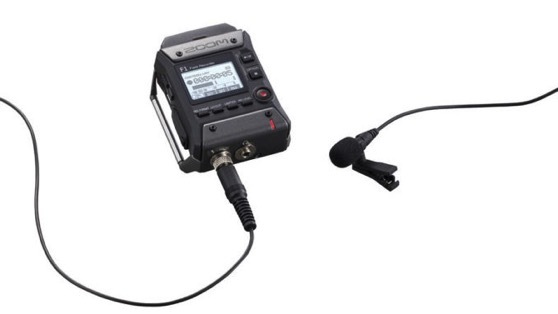 Called the Zoom F1, the audio recorder is half the size of an iPhone, and can connect to everything from a lavalier microphone, to any of zoom’s 10 pin mic capsule modules that were designed for the modular H6. With them attached, the F1 can record 24bit/96kHz to WAV files or mp3 and write to a standard microSD card for later editing. This entry was posted in Gear/Equipment, Hardware, New Media, New Media Gear, Production, technology. Bookmark the permalink.